Important Information: A competition calendar is drawn up before the start of each season by the coaching team and competition secretary. Galas are an integral part of a swimmer's training and, as such, specific meets are targeted to complement the training cycles of each squad. Do not get sucked into entering every gala on the ASA calendar. The Club spend a long time identifying galas that will provide sufficient gaps between each meet to tie in with the training programmes of each squad. Swimming at meets for 3/4/5 consecutive weeks and expecting improved performances will not help your child’s swimming development and you will be wasting your money. Therefore, the Club would respectfully request that swimmers attend only the meets set out on the Competition Calendar for each squad in order to avoid interruptions to their training cycles. Kingston Royals swimmers compete at a number of galas throughout the year. There are different ‘levels’ of gala and each have their own entry criteria. These galas are aimed as a stepping stone for younger swimmers to experience competitive swimming within their home environment. All galas will be run in accordance with ASA and FINA Rules which require a full complement of officials and referees and will be licensed at Level 4 . These galas are held 3 times a year and are the only galas that are available to swimmers under the age of 9. Times achieved at these galas are licensed and can be used to enter Open Meets once a swimmer reaches the age of 9. 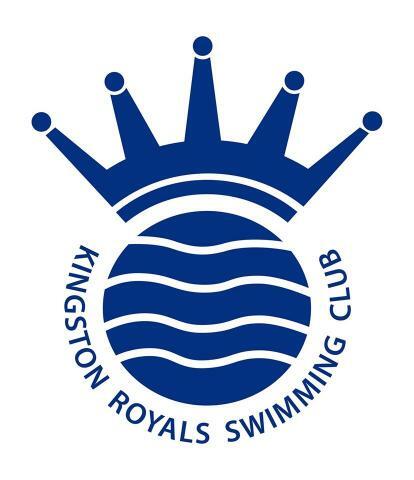 Club Championship Galas are organised and run by Kingston Royals Swimming Club. There are a number of Club Championship galas held throughout the year. The Long Distance Club Championship Galas (400m Freestyle, 400m Individual Medley and 800m/1500m Freestyle) are licensed by the London Swimming Association as Level 4 galas and comply with Amateur Swimming Association (ASA) and FINA Rules. The Royals Autumn Open Meet, held in October of each year, covers all other distances (50m, 100m and 200m in each event) and is licensed by the London Swimming Association as a Level 3 gala and complies with ASA Laws and ASA Technical Rules of Swimming. The main entry criteria for these galas is that you are a paid up member of Kingston Royals Swimming Club. All swimmers (so long as they are aged 9+ as at the date of the meet) from Academy 1 to Performance 1 Squad are encouraged to take part although for some of the longer distance events, restrictions may be placed on younger swimmers so they can only enter if they are invited to do so by the Head Coach. The age group you swim in will be based on your age as at the date of the meet. Medals, Ribbons and Club Championship Trophies are available to be won at all Club Championship galas. A swimmer's age as at 31st December in the year of competition. Each meet will apply their own Promoter's Conditions around the structure of the competition and this will include the one of the age group restrictions. Open meets are licensed as Level 1, 2 or 3. Level 1 and 2 meets accept the fastest swimmers only whereas Level 3 meets accept entries on a "first come first served" basis which means those Clubs who get their entries in first, secure places for their swimmers. The Head Coach will select appropriate meets for each Squad and these will be listed on the KRSC website calendar on the KRSC homepage. There are strict deadlines for all Open Meets and therefore it is imperative all swimmers submit their entries by the Closing Date stipulated by the Club's Competition Secretary. The focus of many Kingston Royals swimmers is to meet the entry criteria for the Surrey Age Group Championships. These are held each year, typically during February and March at venues including Crystal Palace, the London Aquatics Centre, Guildford Spectrum and Surrey Sports Park. You must be at least 10 years old as at 31st December in each year to compete and the age group you swim in will be based on your age as at 31st December in that year. Unlike most open meets, only licensed times attained after the previous year's Surrey Championships are recognised for the purposes of qualification. Therefore it is important that, if you wish to be eligible to compete at the Surrey Age Group Championships, you compete at Club Championships and any open meets specified by your coach. Once you have reached Counties, the next level of competition is the Regional Championships and Kingston Royals falls within the London Region. The Regional Championships are divided into two separate competitions - London Youth Championships (those aged 15+ as at 31st December in each year) and London Age Group Championships. (those aged 11+ as at 31st December in each year. The Youth Championships are held over the last weekend in April at the Aquatic Centre whilst the Regional Age Group Championships take place over two weekends in May at either Crystal Palace or the Aquatics Centre. The Qualifying Times set by London Region each year must have been attained at a Level 3 (or above) meet after the last day of the previous year's competition. At the top of the swimming pyramid are the National Championships. These are held at Ponds Forge, Sheffield at the end of July/beginning of August. You must be at least 12+ years of age as at 31st December in each year. To qualify, swimmers must achieve a Ranking position within a stipulated qualifying window (generally from mid-March until 31st May). Only the top 44 swimmers across the country in each age group will qualify for Nationals in each event. Teams for league events are selected at the discretion of the coaches and will be based on PBs and current performance of swimmers. If swimmers are selected they will be notified by the Club’s Team Manager.